Autumn Weddings have something extremely atmospheric and romantic about them. A great way to enhance those feelings is to make a wedding ceremony wreath to use for decorations. 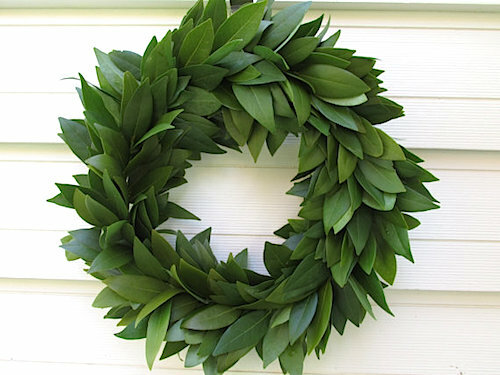 Wreaths are a symbol of eternity, so they are great for such an important event. 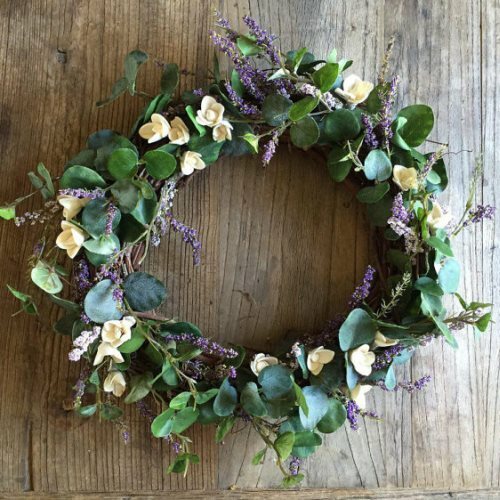 A green wedding ceremony wreath can be a really beautiful addition to a wedding décor and it is actually very easy to put together and you will need only a few supplies. 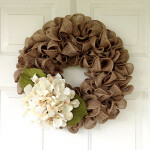 For more wedding wreath ideas visit our wedding wreaths category. When choosing your flowers, greenery and foliage, make sure to use only beautiful and fresh or quality artificial (e.g. silk) ones that will add and complete the other wedding decorations and flowers. 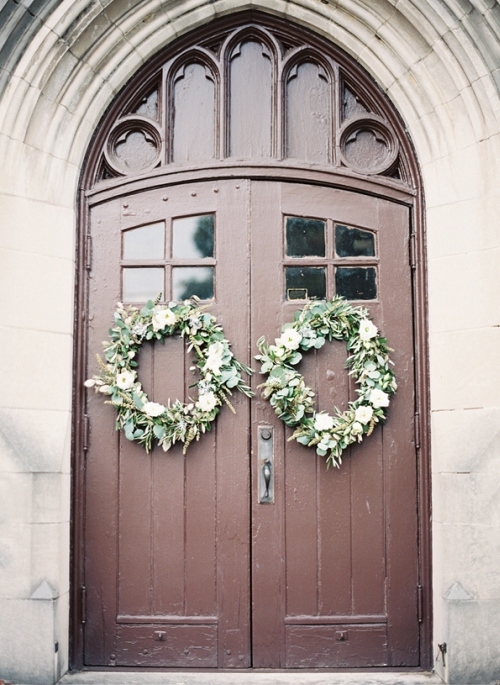 Hang it on doors or in front of windows to make a wedding perfect. Pick three sprigs and layer them together. Trim some leaves if necessary and secure them together using a piece of floral wire and wrapping it around the stems. 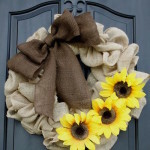 Make a number of bunches (about 10 or more, depending on the size of your wreath). Layer bunches one on top of the next. Make sure to overlap the tips of the stems at least halfway up so you create an even filling. 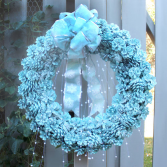 Attach each one with wire the wire wreath form, arranging them in a way so there won’t be any gaps in between left. 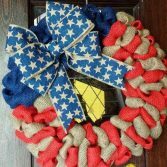 Continue this way until you fill all of the wreath form. 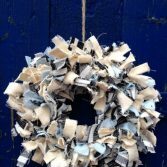 Now it’s time to complete the wreath by embellishing it with textural sprigs which you can attach with some floral wire. To make sure that the flowers will last, fill water hats with water and insert your blooms. Attach the wire hats to the greenery with floral wire, being careful to hide the hats underneath the greenery. You can use the flowers to hide any gaps if necessary, as well. 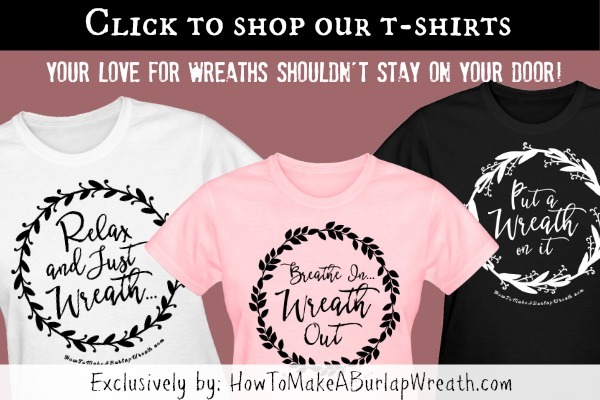 To give it an even more personal and romantic touch, you can add a banner to the wreath with the couple’s names or attach their monograms using beautiful wooden letters to the wreath with some hot glue. Now, doesn’t that seem easy to do? 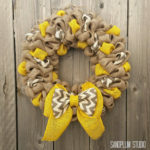 And the result is so beautiful and gorgeous; you are going to want to make it for other occasions, too. 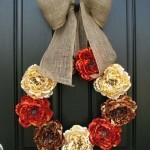 For more floral wreaths – look at this fall leaf wreath tutorial. You can easily substitute with eucalyptus!